Saints are an ever-present part of Mexican life. San Tadeos appears in the amulet devised by Mayte Amezcua. A number of Mexican jewellers have created their own saint to help support the burgeoning field of contemporary jewellery in their country. This collective is called Sin Título (‘untitled’), which reflects their open identity, like the hacker collective ‘anonymous’. They have already embarked on a number of projects that seek to make a space for their rare endeavour in Mexican culture. The audience is the street, rather than a cultural elite. 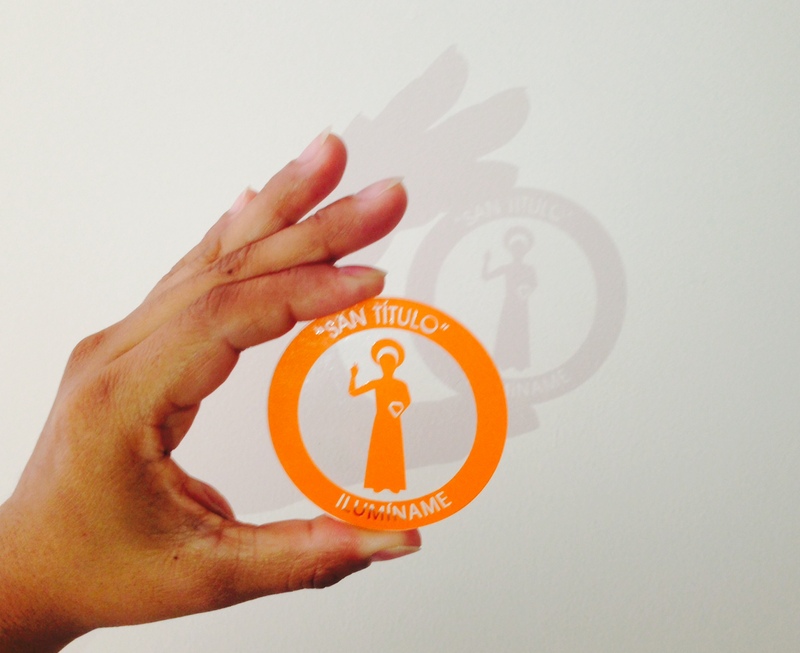 With a minor spelling change, San Título emerges as the patron of their craft. The aluminium figure holds a massive diamond which has been faceted and polished. He bends two fingers of his hand to make a ‘quotation mark’ sign, indicating the almost sacred nature of irony among the follows of this saint. Individual members have created their own amulets to channel the energy of San Título. Noemi Buendia has created an objects called Divine Illumination, This is designed to help in those moments when inspiration is needed. The user takes the acrylic square and holds it up to the light, casting its shadow on the wall. The impressions of enlightenment can encourage the user to open themselves to new ideas. One of the challenges in developing a contemporary jewellery in Mexico is the feeling of distance from the major centres of activity, particularly in Germany and Netherlands. Cristina Celis has developed an amulet I’m on the map to help cope orient artists in the broader creative world. 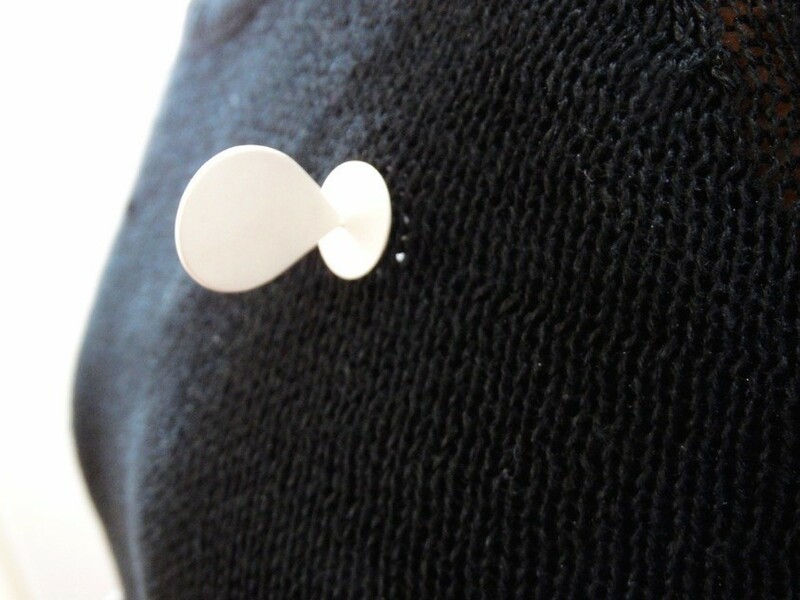 Her pin is cleverly based on the Google map pin.